When it comes to upgrading the SSD in your PC and laptop, it’s actually a pretty straightforward affair. For starters, you’ll want to of course pick a capacity that’s bigger than what you already have. By and large, any system shipped with an SSD usually has a capacity of 128gb. Due to this, you should opt for at least 256 and if you can stretch to it, go for 512 although this will of course will ramp up the cost. 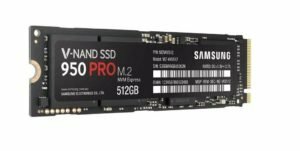 It should be noted that there are two main options, either sata or nvme. Sata is a cheaper option, and offers great performance whereas nvme is a large investment, but you’ll get blistering fast speeds. The mother board on your pc or laptop will also need to support nvme which isn’t something one that is say, 18 months old might support. There are cheaper brands available, and these are readily available on Amazon. However, when you’re placing your operating system for your pc/laptop on this drive, it’s best to choose one from a reputable brand rather than risk the integrity of your boot drive. For that reason, we’d always recommend that you choose a well-established make. 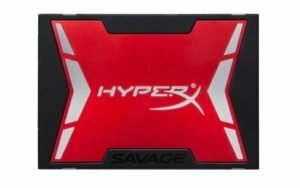 due to the constant stream of new SSDs coming out, it would be impossible to come up with an ultimate guide of which one to buy. However, we have made a table below to allow you to choose from the best three currently on the market. This covers performance, cost and also the overall rating on amazon. By clicking on the products, you’ll be able to read more in depth reviews of the products. You may be wondering how exactly you get all of your data from the old drive onto the new one. Thankfully, this is a pain free experience and involves the use of clone software. Some SSD manufacturers such as Samsung have a cloning utility included in the pack with the SSD so you’ll be good to go. there are also free versions available such as acronis true image in the even that you bought a SSD from a brand that doesn’t give you the cloning software. What you will need to invest in though is an enclosure. What this will do will allow you to install your new ssd into this enclosure and plug it into a usb port on your laptop or pc. you’ll then be able to clone the data from the internal drive over to the SSD. There have been situations whereby plugging an ssd into an enclosure and then into your pc doesn’t always appear. having said that, we’ve found a short tutorial on YouTube that will show you how to get around the problem and can be found below. 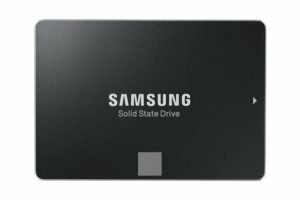 One thing to bear in mind is that when cloning over the SSD, there may be hidden partitions on it, such as the recovery position, so this should also be copied over should you ever need to recover the drive. The cloning software you choose may have additional steps involved, so it’s best to follow their tutorials that can be found on their websites. Once the process is completed, it’s as simple as popping the old drive out and installing the new one into your pc or laptop. On both a laptop and pc, the power should of course be off and the device should be unplugged from the wall. if you are upgrading the SSD on a laptop, then you should also remove the battery if possible. on the pc, you’ll need to disconnect the sata and also power cable the is plugged into your SSD. If you’re a laptop user instead, there should be a panel with one screw on it that you can remove in order to slide the panel off. This will give access to the drive bay and allow you to remove the SSD from the sata connector. there is no need to remove any cables when upgrading a laptop SSD. You’ll then be left a left over SSD. You could keep this in case the other drive fails. Alternatively, you could format it and use it as a way to create a system image on your pc (presuming that it is under the limit of the original SSD). Upgrading the SSD in your pc or laptop isn’t something that should be feared and it is an extremely easy process to carry out in order to expand the storage space on your device.